Is it permissible to peruse a sefer someone brought to shul without their knowledge? This past yom tov a guy in my shul brought a bunch of English Jewish books to shul to keep himself busy during the delays and what not. When he was not around I noticed a bunch of guys picking up the books and reading it for a few minutes. Is this sort of behavior permitted? For the sake of simplicity, I'll assume that the books in question are considered some form of 'Learning Torah'. Biographies of Rabbis are very likely a form of learning Torah (granted, definitely a 'lighter learning' than say, a Daf Gemara), and depending on how the history of the Holocaust is written, it could also be considered learning as well. For the record, the entire discussion below pertains exclusively to an item which is a 'Dvar Mitzvah'. If the item itself isn't a Mitzvah item, 'implied permission' becomes a whole lot more restrictive. There is a general rule that a person by default wants his Mitzvah objects to be used. Therefore, you're allowed to borrow a person's Tallis or Tefillin without their permission (terms and conditions apply, like not removing it from the room, returning it how you found it, etc.). However, this 'implied permission' only applies if a) you're unable to ask the person easily ('easily' is a very subjective word), b) it's actually 'default' permission, i.e. if you knew the person wouldn't want others to use it, you can't use it, and c) the item isn't getting ruined. 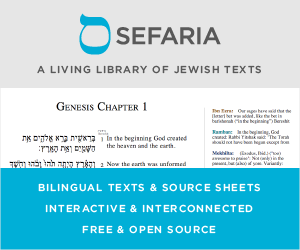 With regards to Seforim, the Mishna Berura writes that given the likelihood of books to rip during use, you can't use it without permission. However, it seems like the overwhelming majority of contemporary authorities disagree (for example, Rav Elyashiv as per The Daily Halacha Discussion) and are of the opinion that books do have 'implied permission' nowadays. To the best of my knowledge, there is no 'minimum time' set aside for 'implied permission' (and every moment of learning Torah is a great Mitzvah). There is an upper limit, however, i.e. you can't borrow a Sefer for weeks on end. Therefore, in your case, presumably the owner of the books is easily accessible (he's also in Shul with you, right? ), and must be asked. As per the comment, if the person is praying in a different room, that could very well be considered 'difficult to ask', and 'implied permission' is given. This answer was based off a series of lectures sponsored by the Business Halacha Institute. Aruch Hashulchan Orach Chaim 14:13 quotes the rama that it is forbidden to read someone else's books without permission. However he goes on to say that just to look at it shortly is something which we permit. Not the answer you're looking for? Browse other questions tagged reward-punishment books-generally gezel-stealing . “Kofin al midas Sedom” - what are the parameters of this concept?